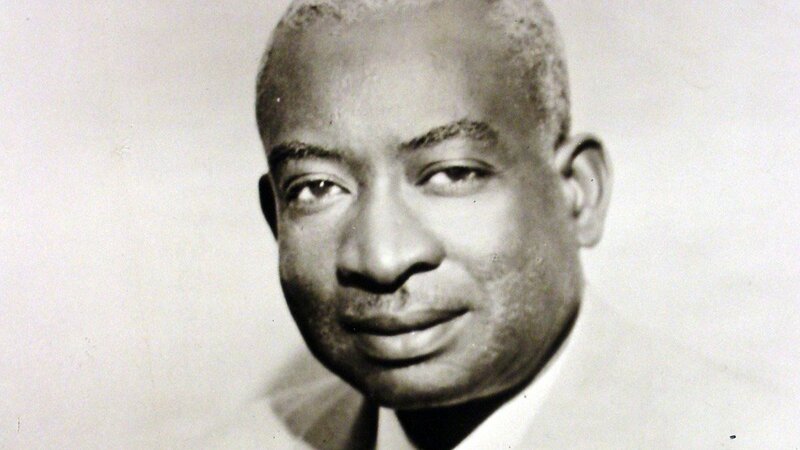 Chicago was the birthplace of gospel music and Thomas Andrew Dorsey (1899 - 1993) is widely known its "father." The prolific composer wrote more than 1,000 songs, including the well-known gospel staples "Precious Lord Take My Hand," "There'll Be Peace in the Valley (For Me)," and "Say A Little Prayer for Me." Dorsey's musical training started in Atlanta where his father was a Baptist preacher and his mother played the organ. At an early age, Dorsey decided he wanted to be a professional musician and practiced diligently. His family encouraged a life in religious music, but Dorsey had other ideas. At the age of 17, he joined the large number of other African Americans leaving the South during the Great Migration and ultimately landed in Chicago. Dorsey soon found work and gained a reputation as a strong blues piano player. He married, and while on the road with the famed blues singer Ma Rainey, Dorsey received a telegraph that his wife had died in childbirth. His baby died soon after. Lost in mourning and grief, Dorsey turned to his piano for comfort and the words for "Precious Lord" "just dropped into the music." 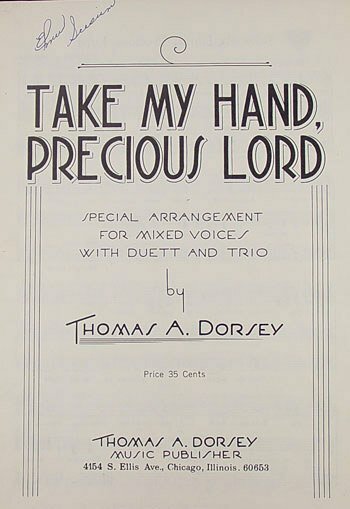 Dorsey started writing religious lyrics for his songs, but they were carried by a blend of religious music and the sound of secular blues. He called his new music "gospel music," because he said it was music of good news. But using the sound of gin joints and dance halls in church music was offensive to some and Dorsey's early promotional efforts proved difficult. Many ministers rejected gospel as being sinful or "devil's" music. For his efforts, Dorsey said he was "thrown out of some of the best churches in America." Eventually, the gospel music genre which Dorsey started and nurtured in Chicago became an integral part of worship in African American churches. Dorsey's influence continues to be heard in the recordings of today's gospel singers. Legendary author and radio host Studs Terkel interviews the "Father of Gospel Music" Thomas Dorsey. 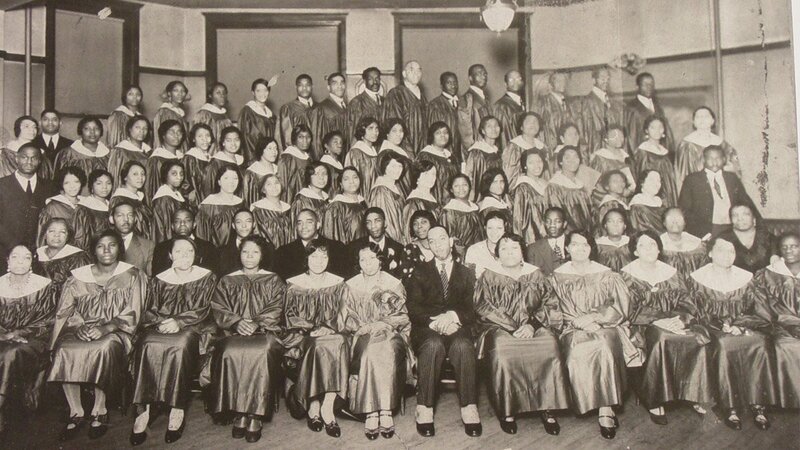 The first gospel choir was started in 1931 at Chicago's Ebenezer Baptist Church under choral director Theodore Frye. The immediate popularity of the choir inspired Rev. J. C. Austin to form one at Pilgrim Baptist Church with Thomas Dorsey as its director.